Consider the frenetic pace you carry on in this digital age, it's especially important to take time off from the rat race to nurture yourself and recharge your batteries. A simple 90 minute spa treatment just won't do as it'll only leave you wanting more. Instead, what you need is a health retreat that caters to your holistic wellness, where you can achieve the perfect harmony of body, mind and spirit. These places (many of which have won awards as top spas from Conde Nast Traveler, Travel & Leisure, Fodor's, etc.) 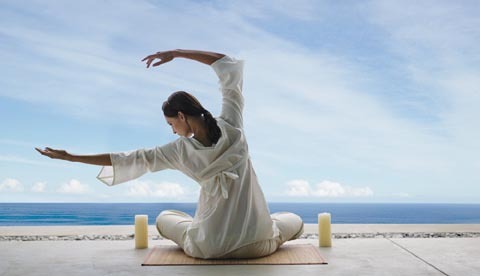 take the concept of the resort / destination spa one step further, offering wellness programs designed to cultivate a healthy lifestlye - from yoga and life balance analysis to nutritional services and healing therapies. Whether you're looking for serenity, lifestyle change or indulgent pampering, you're sure to feel renewed and reenergized after visiting one of the top health spas & retreats we've picked out from all over the world. Isn't it time to grab your gal pals and make a getaway? Planning a getaway with friends? Send online invitations and manage bash details with LastBash.com, the easiest way to organize your friends. It's FREE - Get started now! If you are looking for another great spa in Canada. Mountain Trek is a great fitness orientated camp that is quite luxurious and perfect with it's intimate and comforting atmosphere combined with lifestyle education.